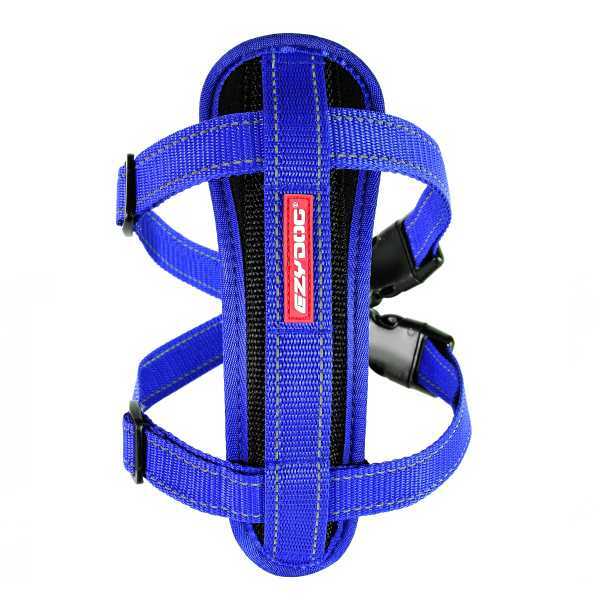 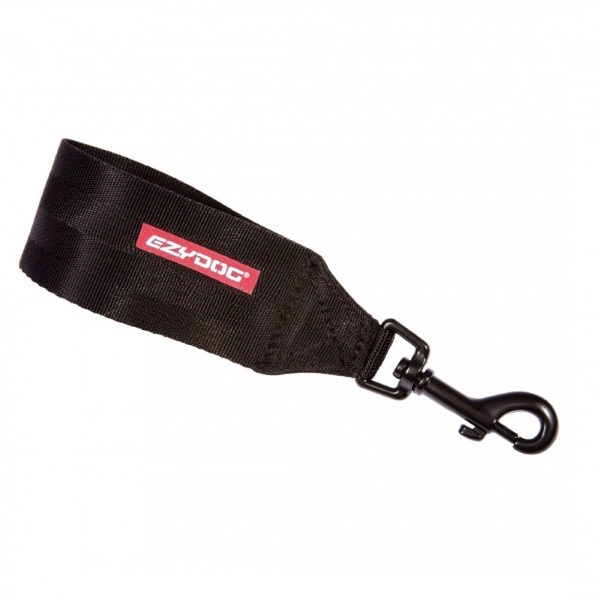 The Ezydog Chest Plate Harness provides the best possible support for walking, sporting and travelling dogs. 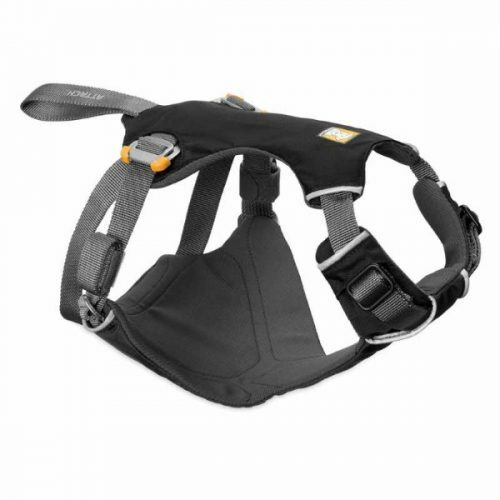 The EVA chest panel will form to your dogs chest creating a custom fit. 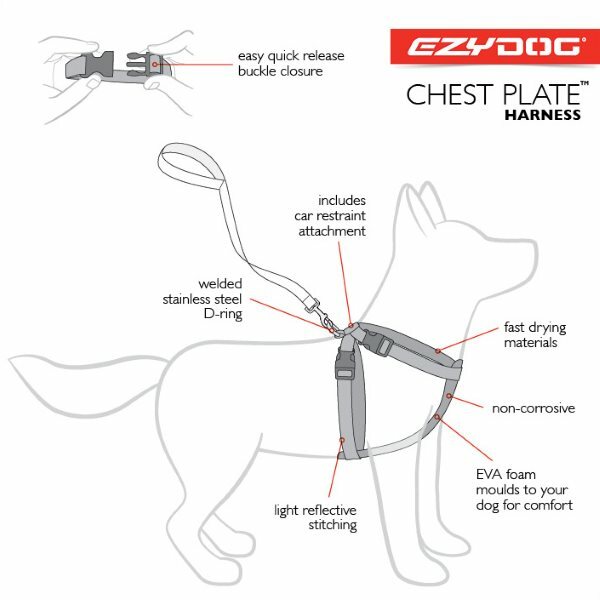 The EzyDog Dog Harness rides lower on the dogs chest and our chest plate helps disperse load so it is easier on the owner and easier on the handler. 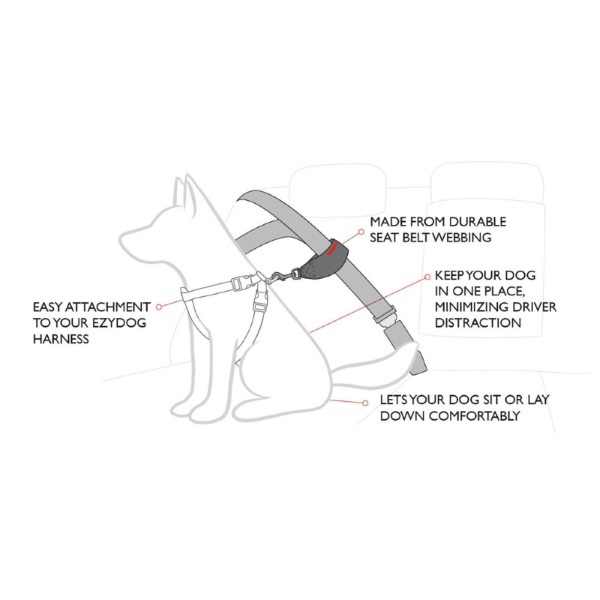 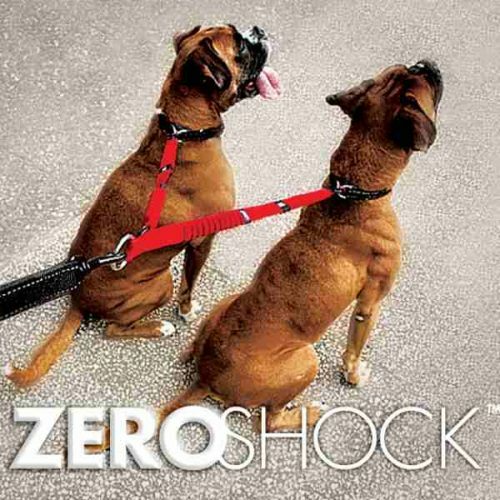 The harness allows your dog to be safely restrained in your vehicle with a minimum of fuss, with the detachable, swivelling car restraint reducing the risk of injury in case of an accident. 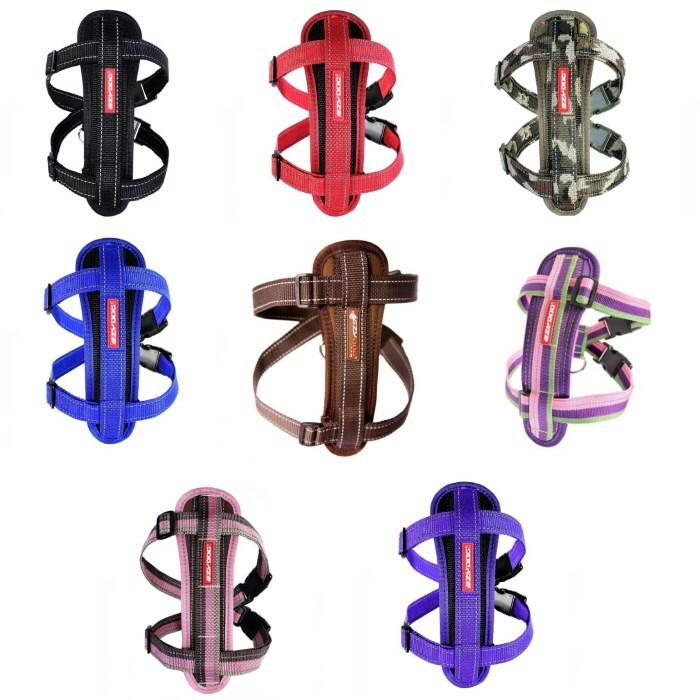 Easy on, Easy off… The one-click snap clips are easy to snap in place. 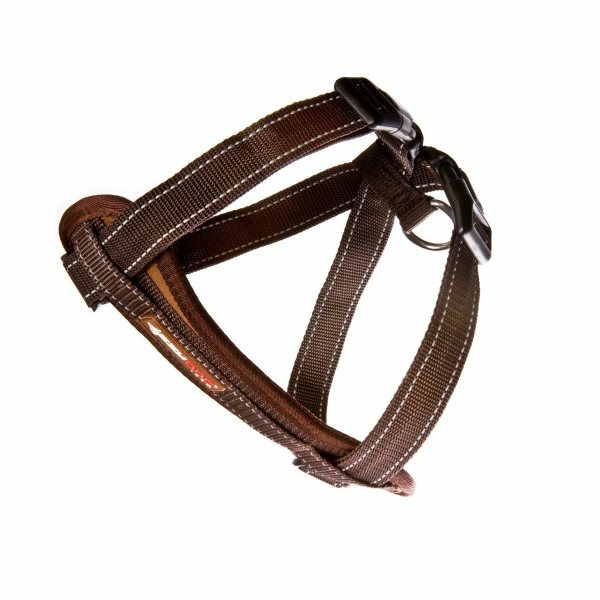 Straps can be adjusted quite easily to get the right fit. 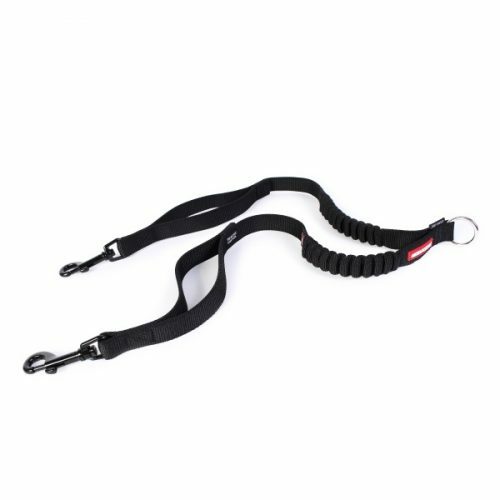 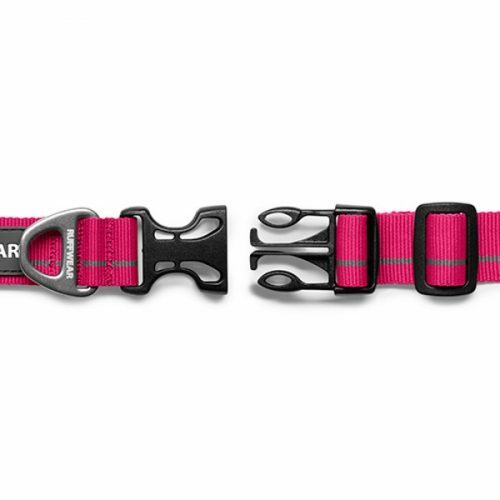 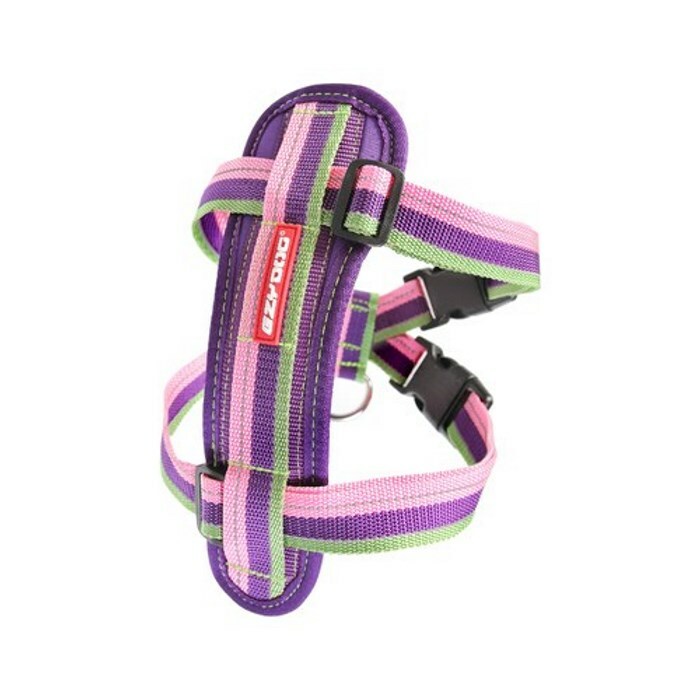 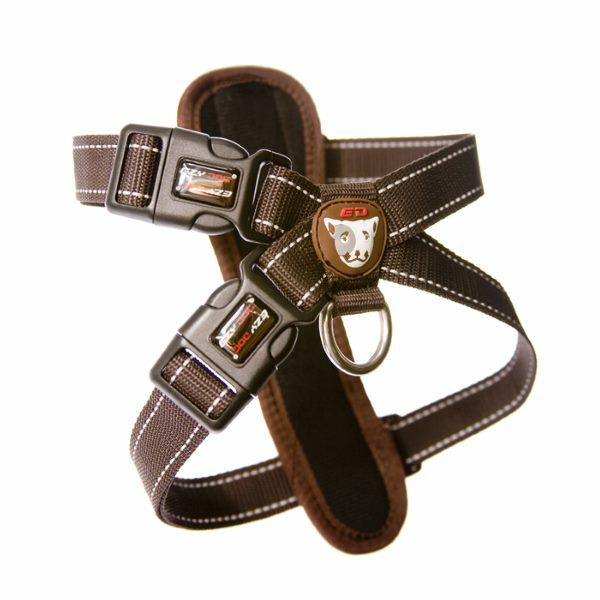 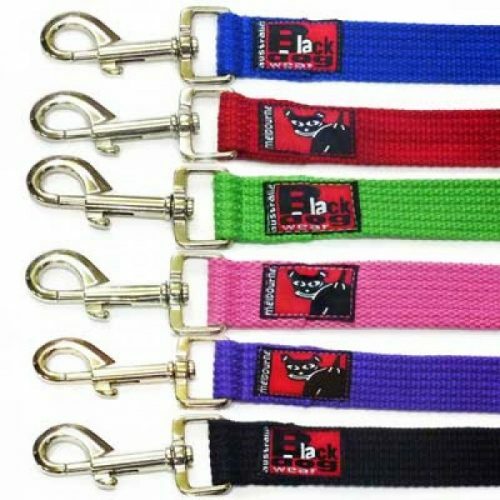 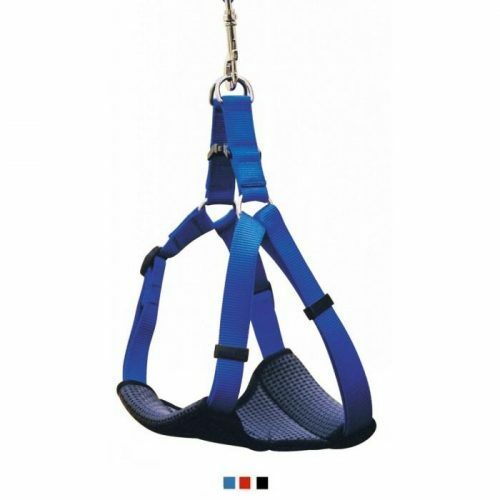 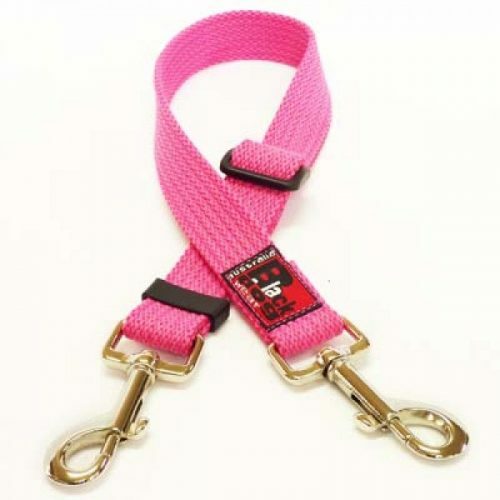 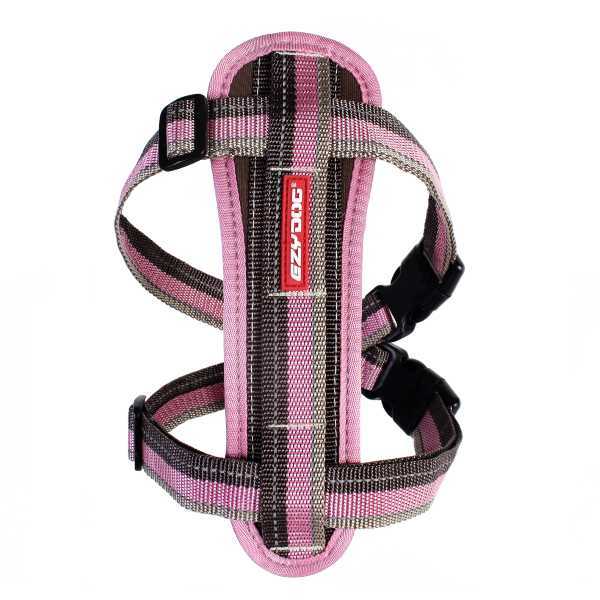 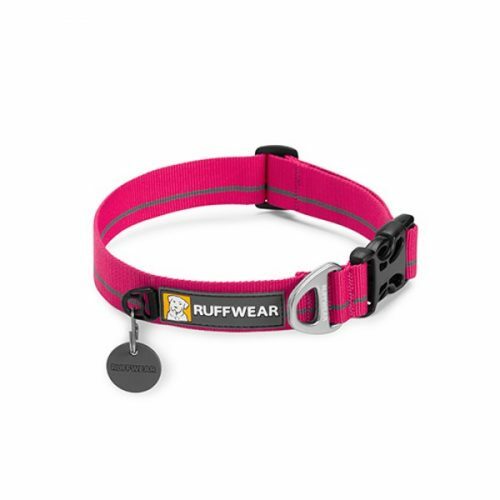 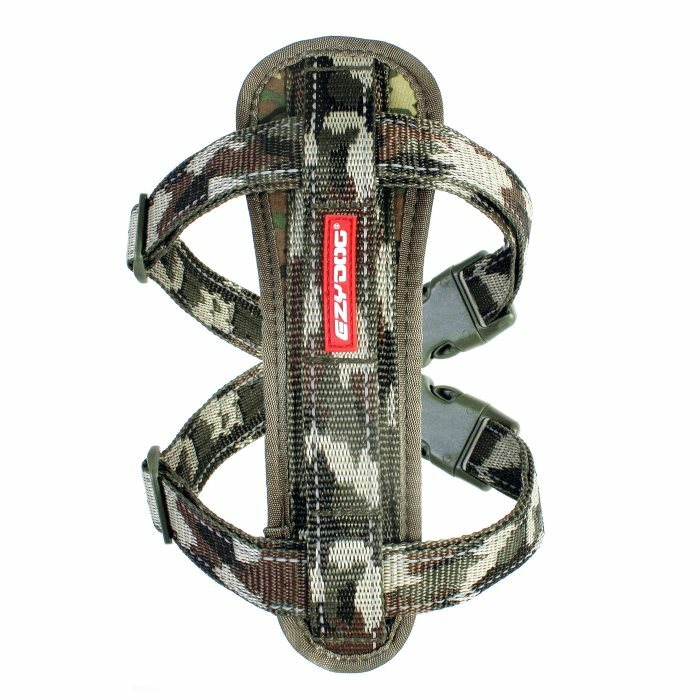 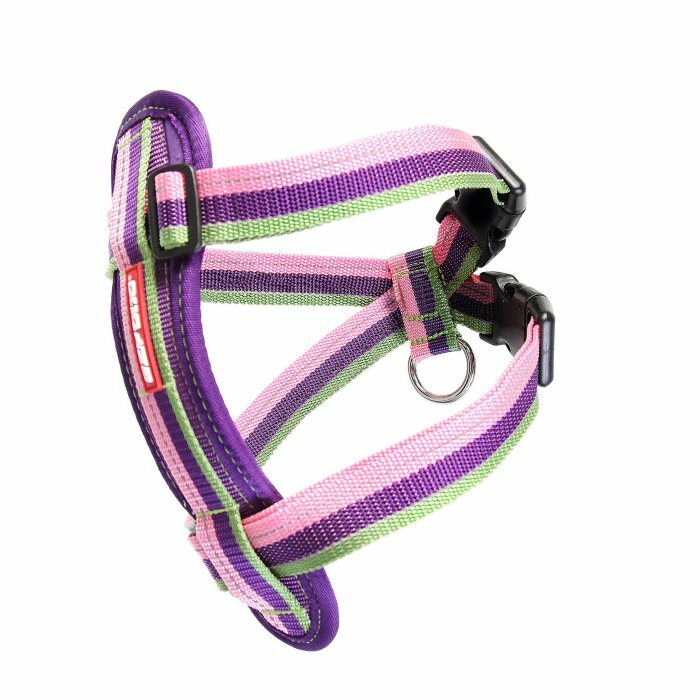 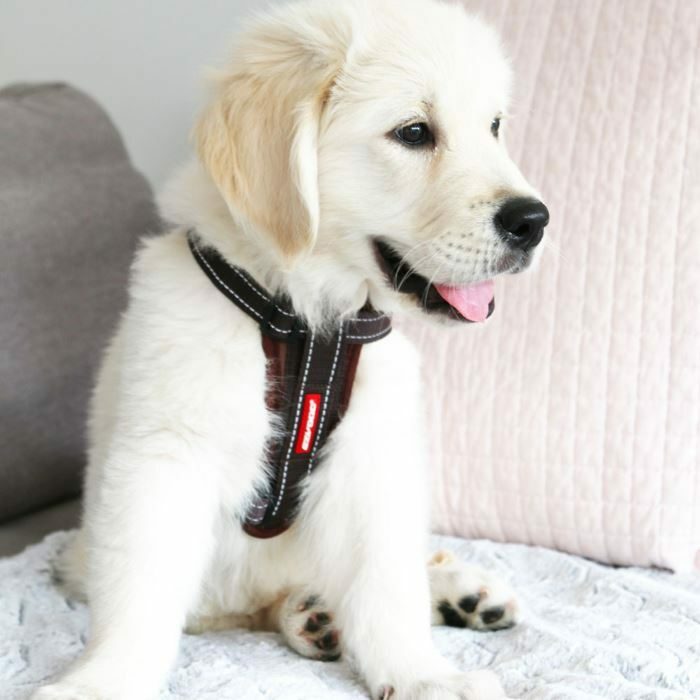 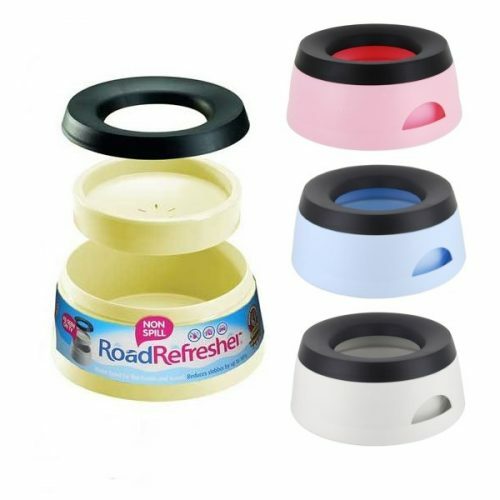 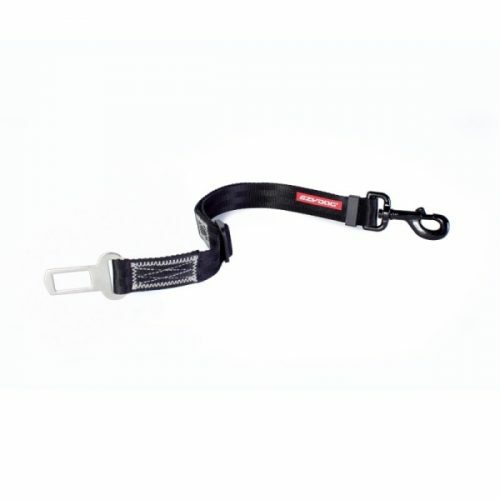 A great choice for those who want one harness for use in the car and on walks. 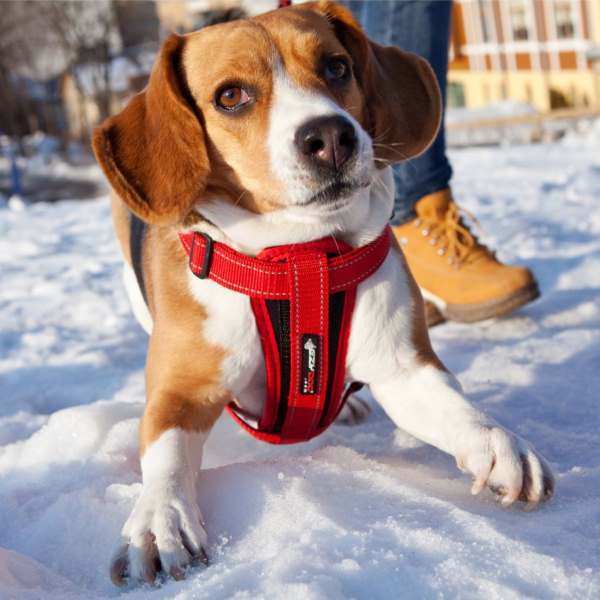 The ergonomic and super comfortable fit of the EzyDog Chest Plate Harness distributes the load evenly across the dog’s chest rather than the throat, to make walks enjoyable for both you and your furry friend. 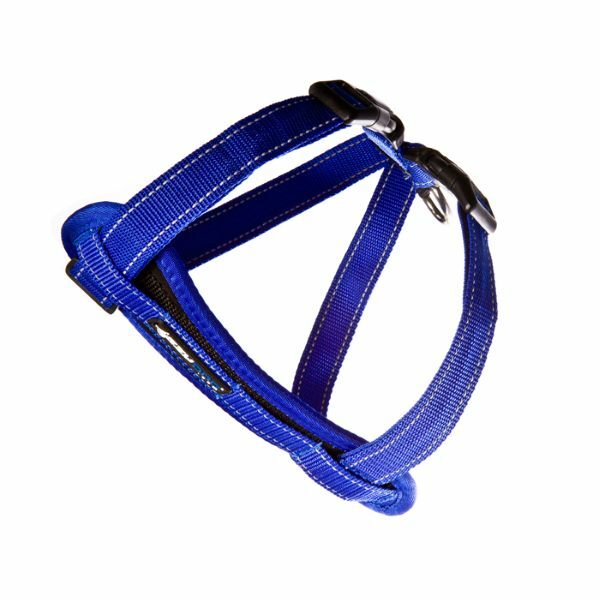 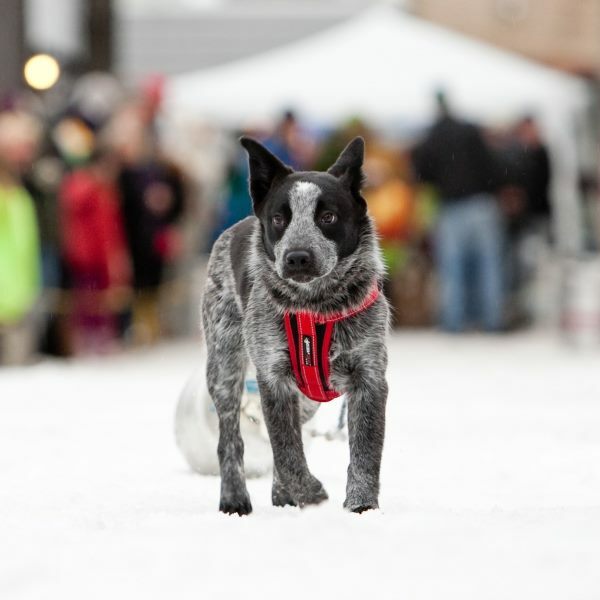 With an EVA chest support that moulds to the shape of your dog, every harness becomes a custom fit. 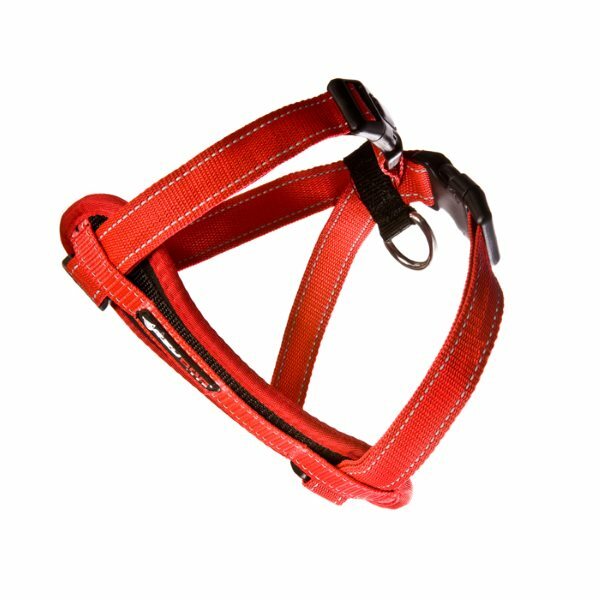 There really isn’t a more supportive and comfortable dog harness on the market! 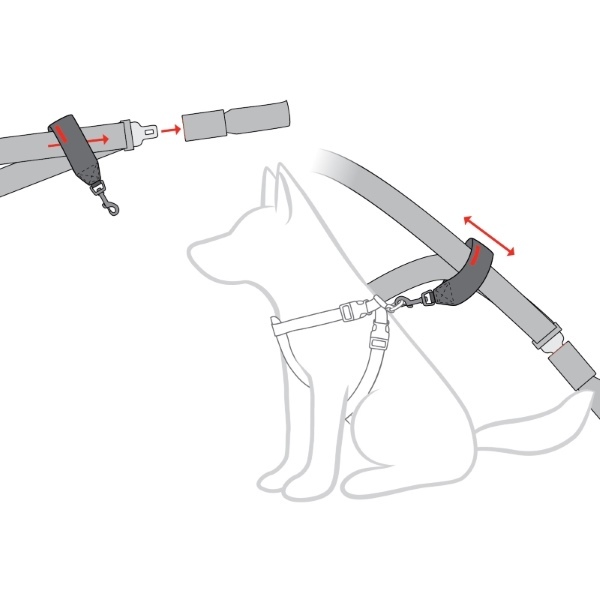 Thanks to the easy-to-adjust straps, the harness does not rub uncomfortably anywhere on the dog. The icon shape of the chest plate itself has been meticulously designed and tested to fit every dog type. 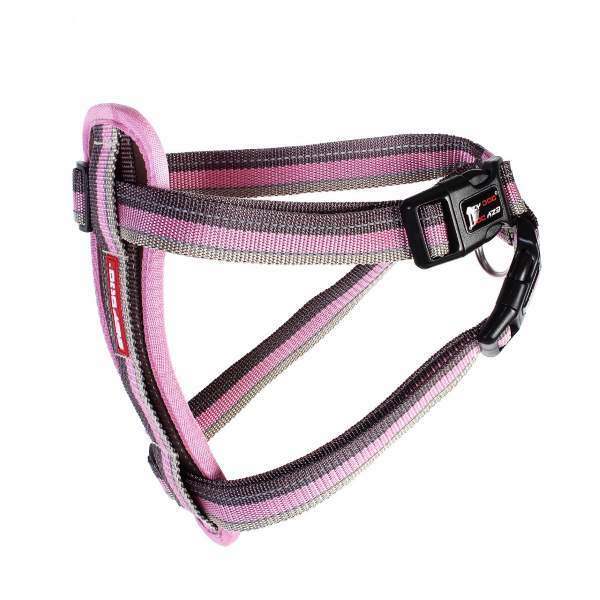 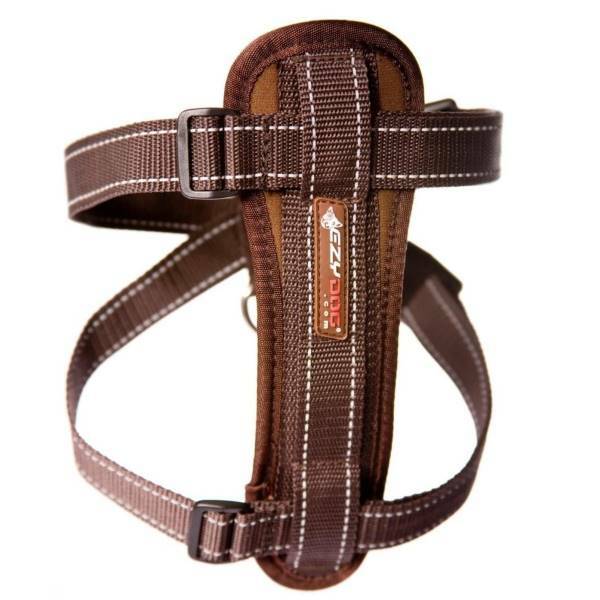 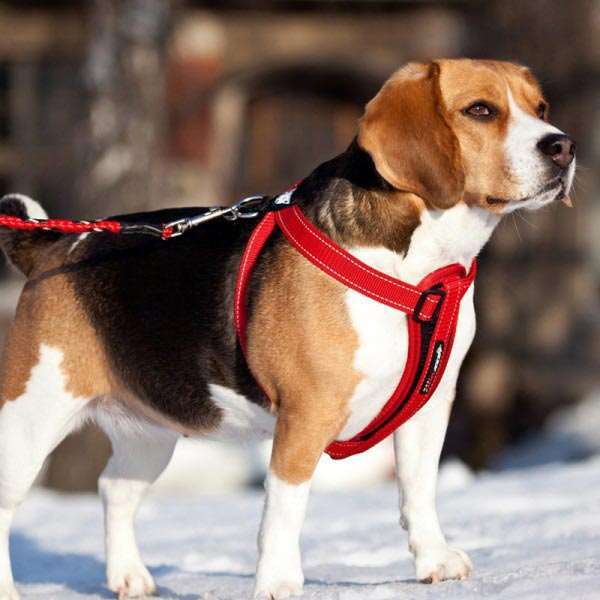 Whatever your breed – the Chest Plate Harness is the perfect choice. 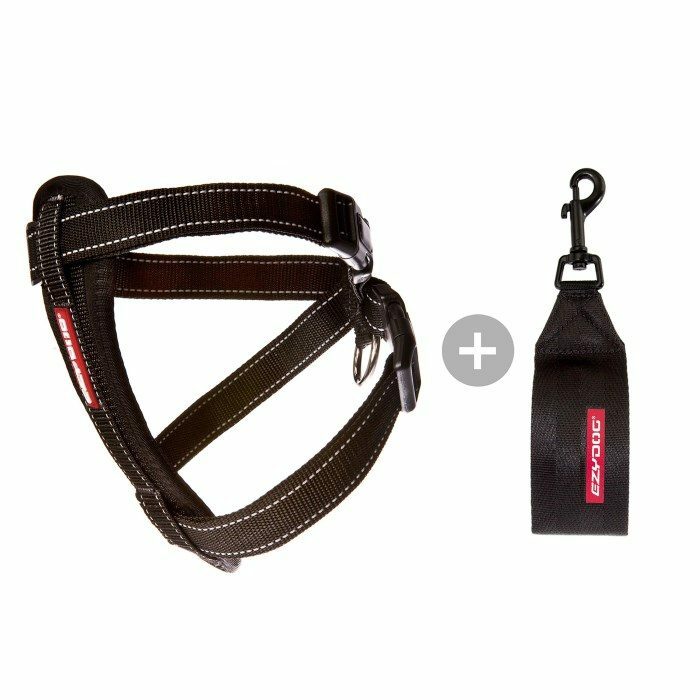 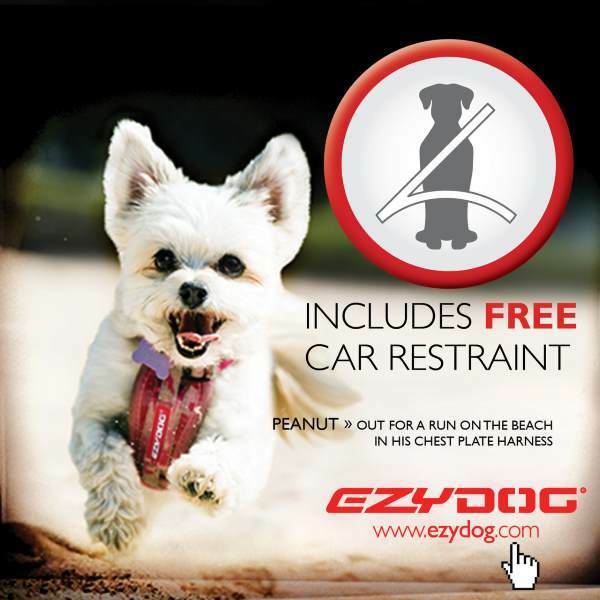 The EzyDog Chest Plate Harness comes with a free Car Restraint, so you can reduce any in-car distractions whilst in transit. 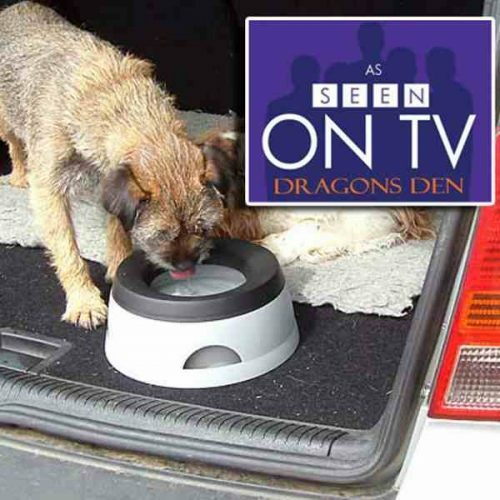 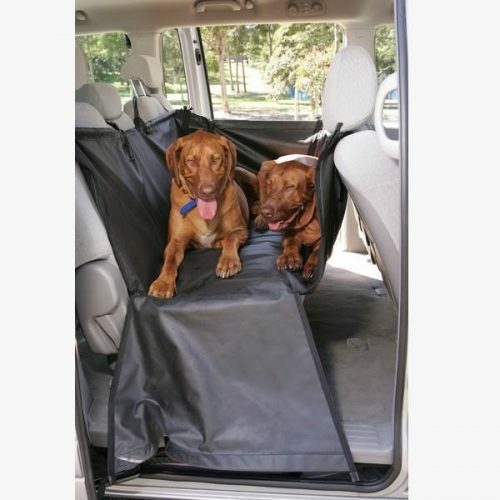 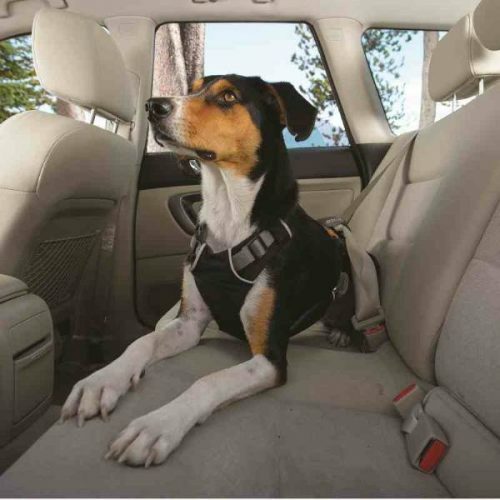 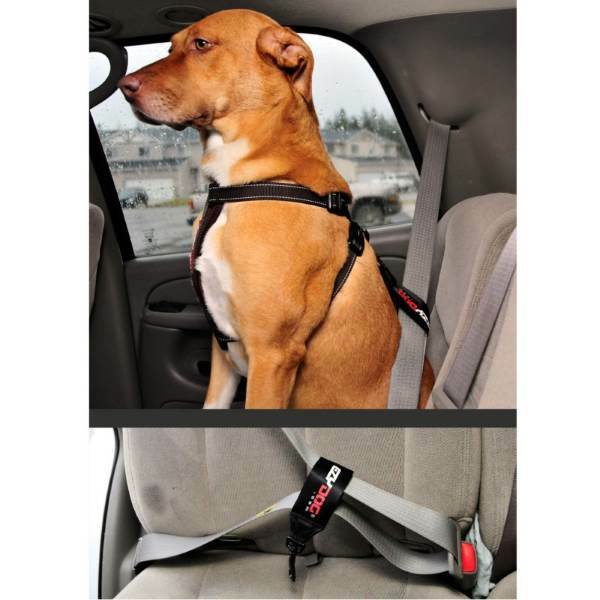 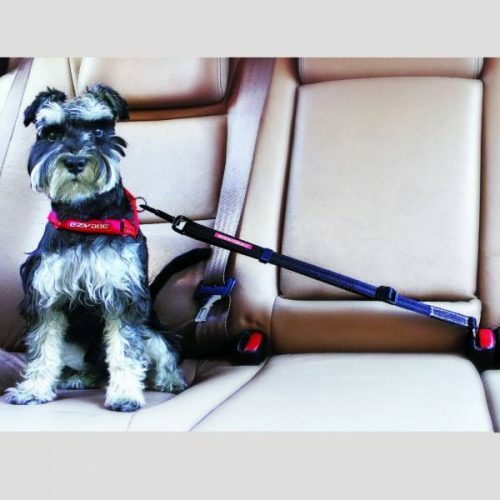 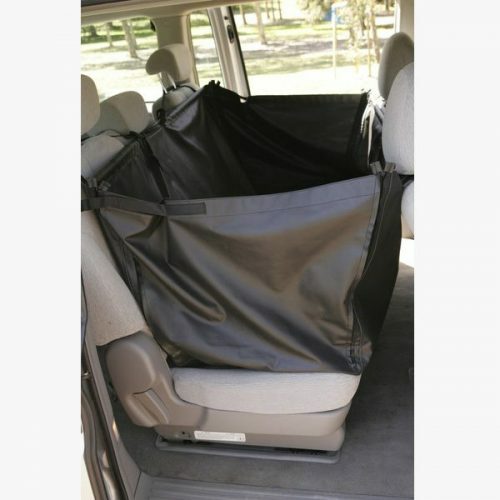 Whilst the free car restraint is great for shorter drives and is a great solution to get mobile straight away, we recommend purchasing the Click Adjustable Seat Belt Attachment to give your dog more room to move on longer trips. 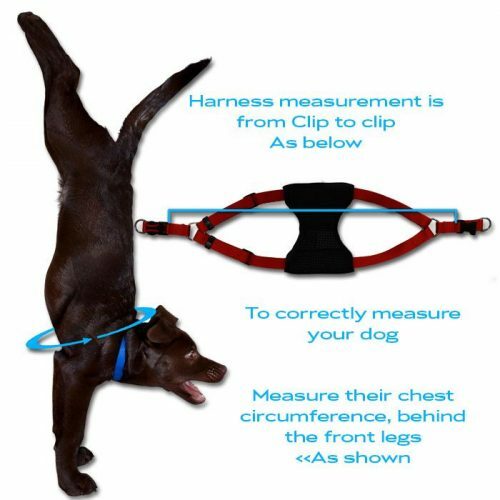 For best fit measure the girth of the dog. 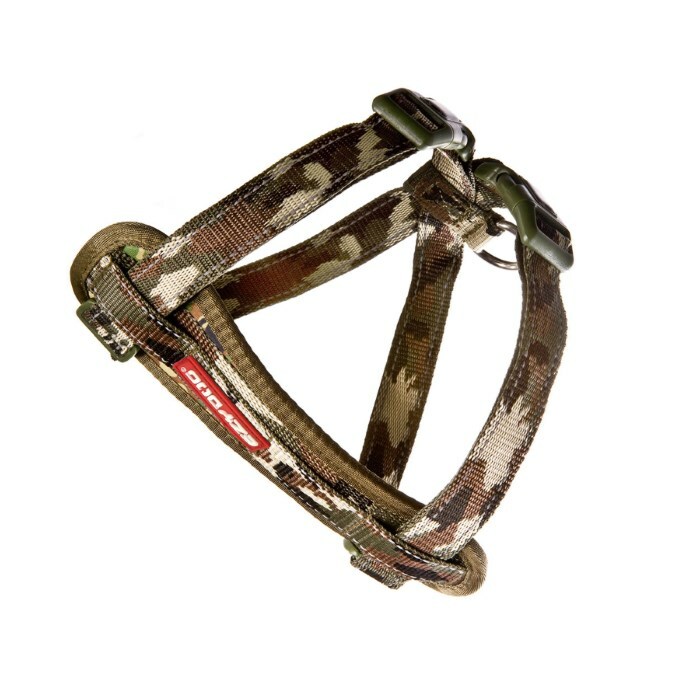 This is the area behind the front legs and around the body. 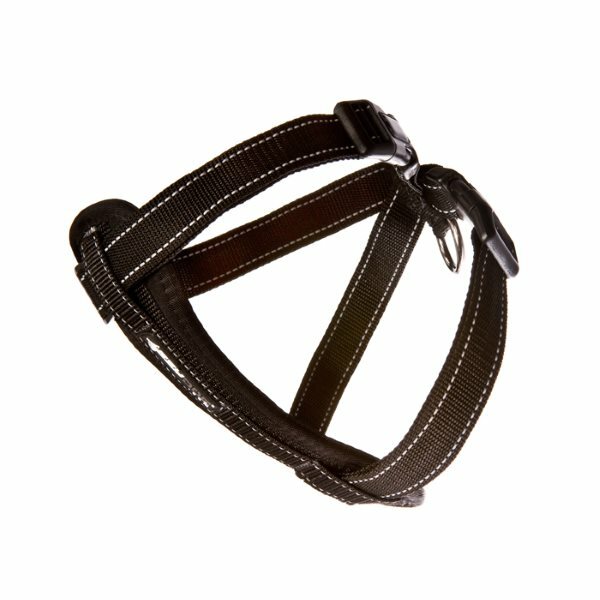 The neck will typically fall into place once girth is determined. 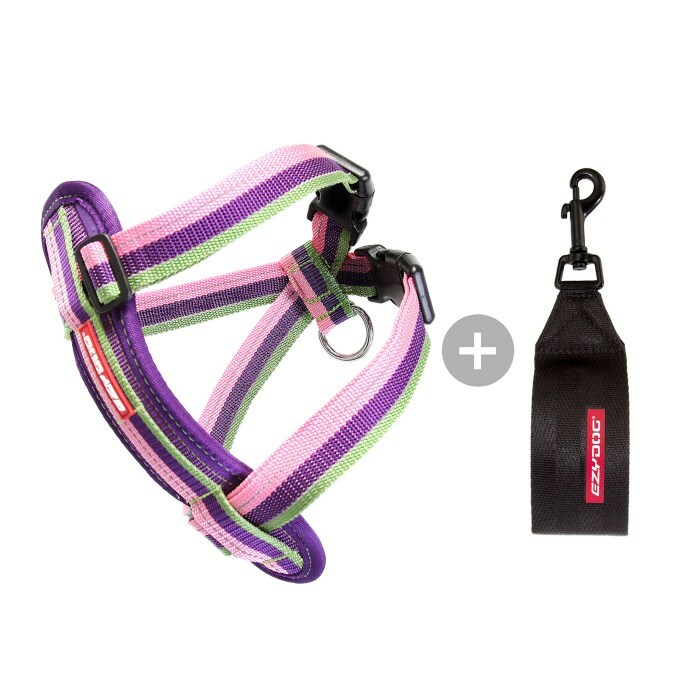 If the measurement is close to the end of the size range, go up to the larger size. For information on how to fit your EzyDog Harness – read the Chest Plate fit instructions or view the ‘How to video’ below.